Our second destination in Cambodia was the amazing Siem Reap. We spend 4 nights there and had a great time. 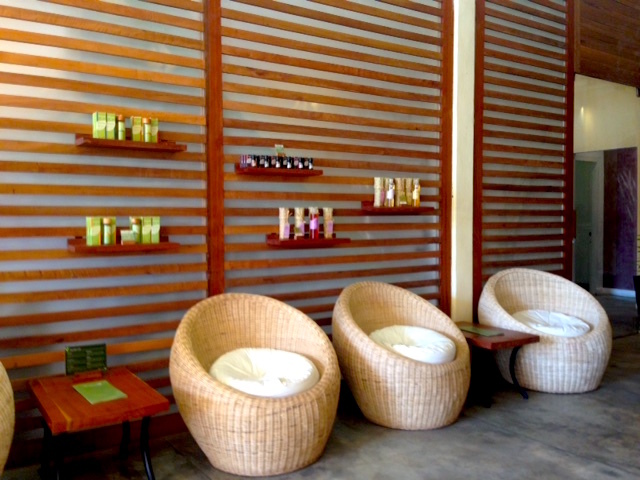 One highlight was our 5 days in Siem Reap was the half day Spa Package at the Kaya Spa. I really loved this place from the beginning. The staff is so friendly and nice. The lobby looks so lovely. Everything was decorated so perfect and made us feel good. The half day package includes a visit at the very interesting Senteurs d’Angkor Workshop, a 60 minute massage and to make the day perfect a super delicious degustation of khmer desserts at Kaya Café, which is right next door. For the 60 minute massage, we could choose one of three massages: foot reflexology or ancient khmer massage or aromatherapy massage. At first, we got a very nice welcome drink, which was a lemon juice with mint. It was so refreshing on this hot day. Then we could decide which massage we would like to have and smell the different aroma oils. 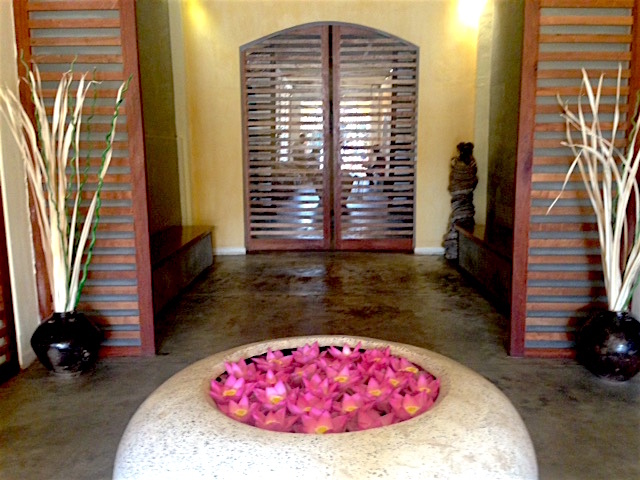 I read at the Kaya Spa, that the Ancient Khmer Massage follows the energy lines of the body and releases pain. I have had a headache for 3 days, so I thought, this is the perfect massage for me. 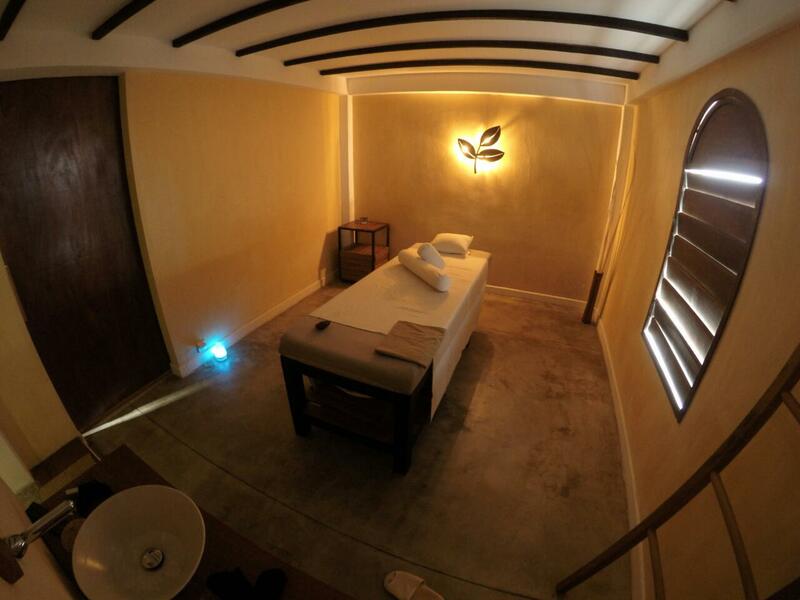 Jeremy picked the Aromatherapy Massage, which combines several methods to relieve tension and reduces stress. He picked a very good essential oil for that. We could choose parts of our body, which we want them to focus, which was perfect. The therapy rooms were very nice and quiet. At first we were offered to take a shower and we could use their amazing natural shower gels. Then the therapist came for the massage. I enjoyed every single minute and I didn’t want the massage to end. It felt so good, from the toe to the head and I loved the head massage a lot. After the 60 minutes my headache was gone, I was so happy and relaxed. Jeremy loved his massage as well and both of us said “This was the best massage ever”. We wanted to go there again the next day, but unfortunately we had not enough time. But we will definitely come back next time, when we are visiting Siem Reap. After the perfect massage we got a coupon for a lovely dessert and drink at the Kaya Café next door. 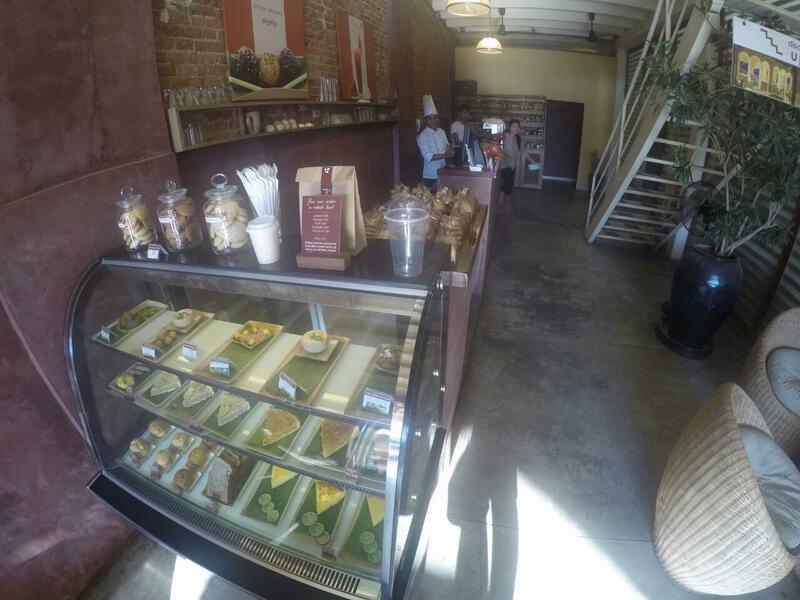 We could choose one delicious dessert and a fresh pressed juice. The Kaya Café is also a very lovely place with beautiful decoration. 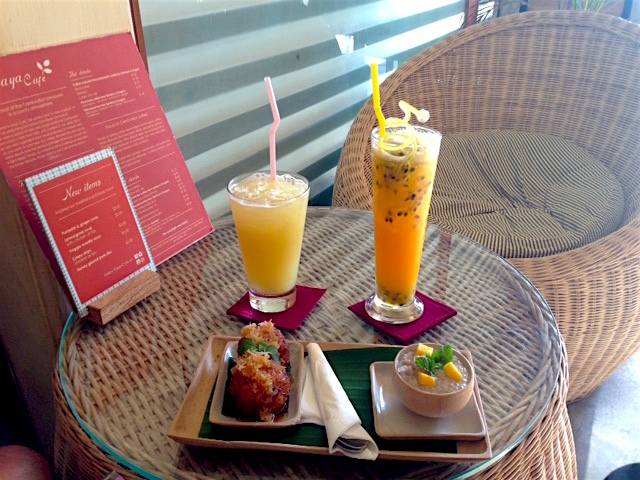 Jeremy got a fried dessert and an Orange Juice and I picked the pudding with banana and a passion fruit juice. Everything tasted sooo good, we loved it! The Senteurs d’Angkor Workshop was great too! A lovely young lady guided us there and explained us everything. 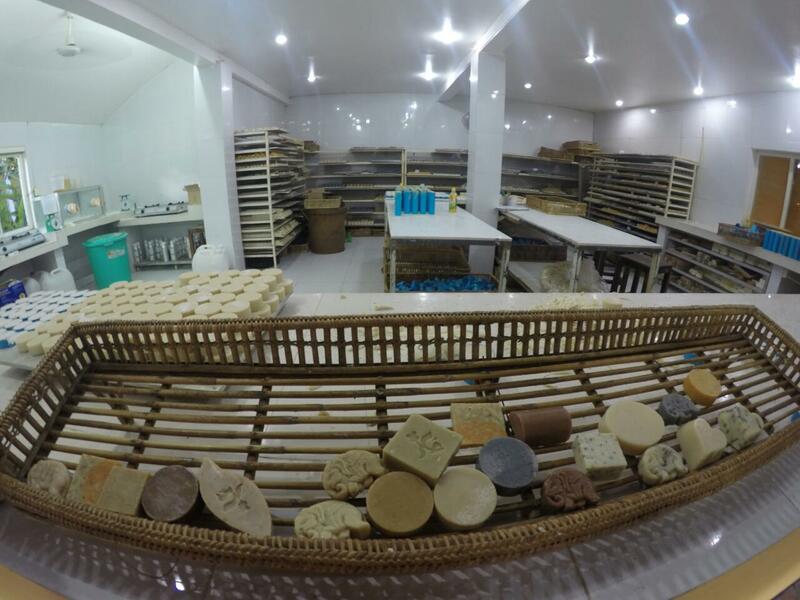 They produce natural cosmetics, soaps, scented candles, and incense there. We enjoyed to smell everything and getting the opportunity to look behind the “scenes”, how products were made. I love natural cosmetic and we would try body lotion and other cosmetics there. It is so important to treat your skin and body right. 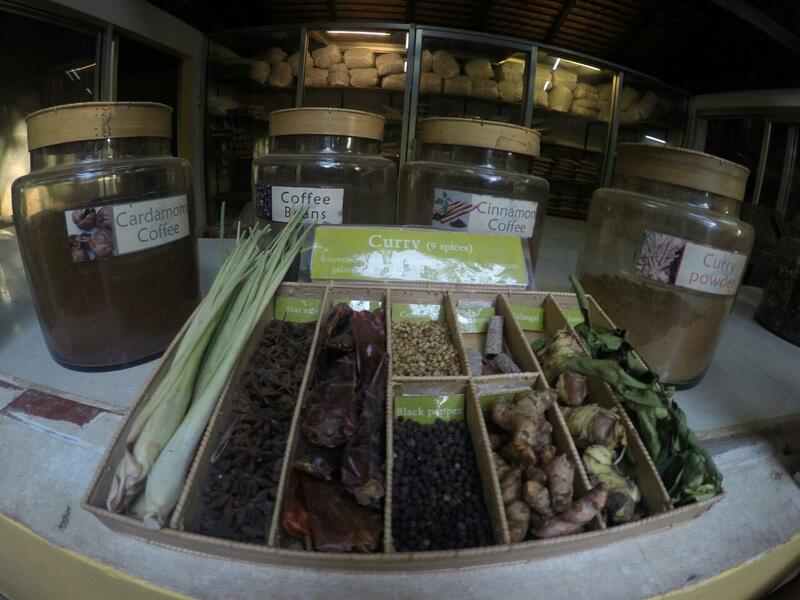 They offer a huge variety of traditional khmer spices, mixed seasonings like the famous “amok” or “Lok lak” and coffee and tea as well. Most of it comes from local resources. It was very nice, that we could try cinnamon coffee and the different teas! 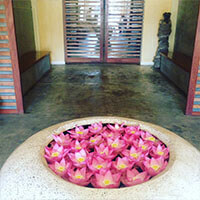 We were lucky to get a 10 % off Coupon, which came with our half day Spa package. 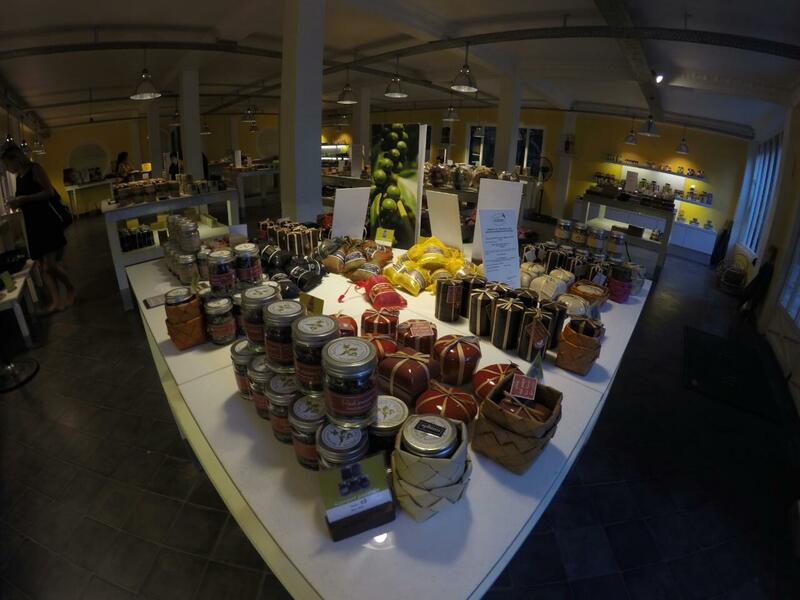 There are so many great things in the shop, to take home for ourselfs or as presents for family and friends. 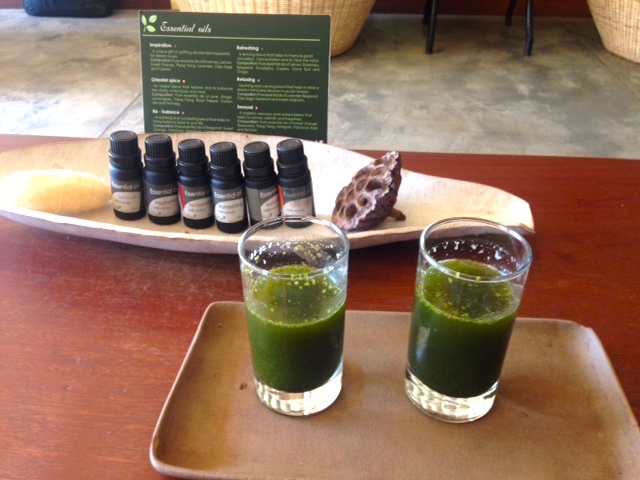 We had an unforgettable day at the Kaya Spa, the Kaya Café and the Senteurs d’Angkor Workshop and we can highly recommend that to everybody! Enjoy a Spa Day and you feel good and relaxed!